I don't know about you, but I've been low-key planning my holiday outfits since October. If that makes me sound insane, so be it, but I stand by my opinion that the holiday season is the best time of the year for fashion. I may not self-identify as "extra," but you'd better believe that I'll be taking every opportunity to break out my most glam, over-the-top ensembles for the holiday festivities. I know one good thing came out of all my holiday outfit planning, and that's the plethora of trends and outfit ideas I've amassed. Some themes include but are not limited to fluffy feathers, diamanté-embellished accessories, and all the '80s-inspired dresses I could ever want. Even if your style is far from high-key, don't fret, because the trends I've spotted range from the subtle to the dramatic. In other words, I can promise you there's something for everyone in the below roundup. 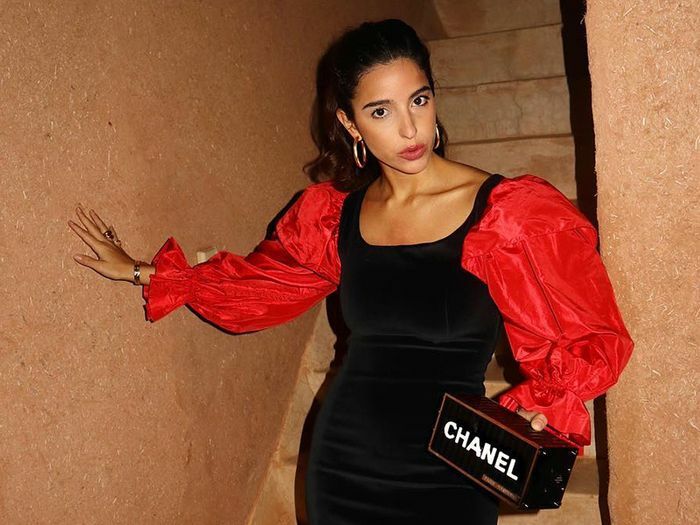 While you scroll, get inspired by the best holiday outfit ideas our readers are wearing, and I'll be over here plotting how I can copy these looks at the first chance I get. Happy holidays! Next, see all the winter trends Kate Middleton is wearing now.